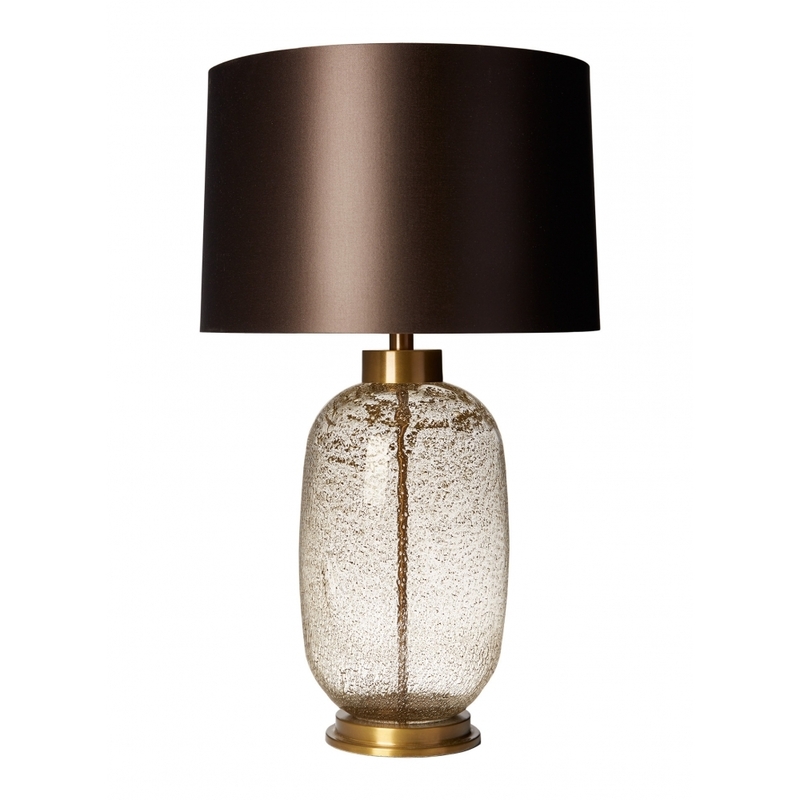 The large Amelia Table Lamp by Heathfield & Co features volcanic frit glass in three jewel-coloured options - Emerald, Claret and Midnight. Each lamp is expertly handcrafted ensuring the design remains unique. Complemented by antique brass detailing, the contemporary colour palette has a romantic appeal with a modern edge. Make an enquiry for more information.